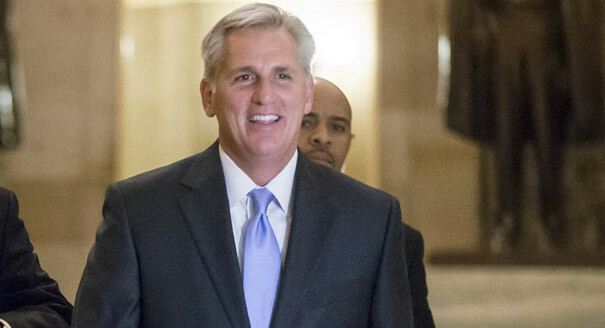 Rep. Kevin McCarthy, House Majority leader, extends his Thanksgiving weekend wishes. "As our son Connor comes into town from college this week, Judy and I are grateful to have our family together for Thanksgiving. Families and friends around our community will be doing the same as they gather for Thanksgiving dinner reflecting on the blessings they have in their everyday lives. We all will be enjoying family traditions whether it is a special recipe for dinner, a touch football game at the park, or just simply catching up with family visiting from afar. "As we count our many blessings, let us remember to help those who are less fortunate as that is the true Thanksgiving spirit. We have such a generous and giving community, and I know that many of our friends and neighbors will be spending time serving others. "And of course let us also remember to be thankful for the brave men and women in our military who are away from their families defending the freedoms we enjoy. Our nation throughout our history has been blessed with individuals who serve and sacrifice for all of us and we are a grateful community. "Judy and I and our entire family want to wish everyone a Happy Thanksgiving.